The Oxford English Dictionary describes a typical armchair as being ‘large and comfortable’. And comfort is exactly what vidaXL’s cheap armchairs provide. These chairs are perfect to nestle into and relax with a good book, or kick back with your favourite tv-show. Our armchairs are also excellent for an afternoon nap. For maximum relaxation, our web shop also has various chairs with foot rests, massage chairs, relaxing chairs and armchair beds – no more hassle if someone stays over unexpectedly! Our selection is constantly being rounded out with new styles, colours, designs and materials. So be sure to check regularly if you haven’t found what you’re looking for yet! 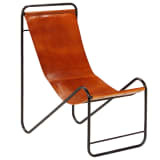 The material an armchair or relaxing chair is made of determines the chairs look and style to a considerable degree. Some people prefer chairs with textile covers, because they have a warm and welcoming look. The vidaXL selection of textile armchairs consists of a wide variety of colours and designs. You could go with a striking purple, green or yellow, or go low-key with grey or black. Another popular material is (imitation) leather. The advantage is that the material is easy to clean. It’s often used in an industrial, modern or classic interior design. 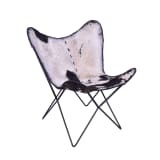 Small note on the material – if all your furniture is leather, don’t feel obligated to buy a leather chair too! A combination of materials can add a dashing effect to your furniture arrangement. We’re all about helping you unwind with our adjustable relaxing chairs. The back rest can be set back, so you can lean back and relax. Ideal for when you’re trying to sneak in a quick afternoon nap. The foot-rest that comes with the chair takes your relaxation to the next level. Another armchair that can make your life easier is the lift chair. Getting up and sitting down is made easier, thanks to the tilting mechanism. The foot-rest is also adjustable, so you can really put your feet up. By adding an armchair to your interior, you instantly create an inviting sitting area. It’s the ideal way to add a little colour or a different material to your living room, or maybe your bedroom. Why not go with a sunny yellow chair, or a patchwork armchair? It will liven up a neutral interior in no time!